No need to use plastic bottles to carry your water anymore. 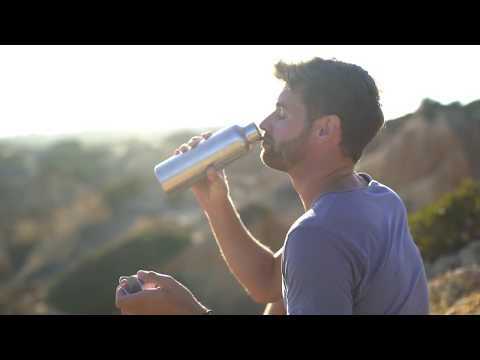 Use this stainless steel insulated bottle for all your beverages. Keeps drinks cold for 24Hours or hot for 12Hours. Insulated Double walled construction: The double wall construction creates a vacuum between the outside environment and inside liquid heliping to keep cold drinks cold for 24hrs and hot drinks hot for 12hrs with no external condensation. Easily Attachable (Sports Cap): Attach your bottle to your board, deck bag or cool bag with a carabiner so it wont get lost when on the water. Comfortable Rubberised mouth piece (Sports Cap): Easy to use and prevents any leakage.